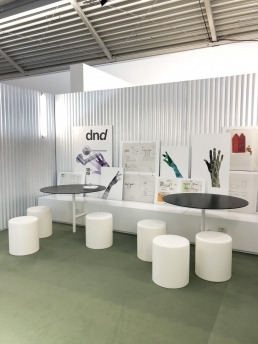 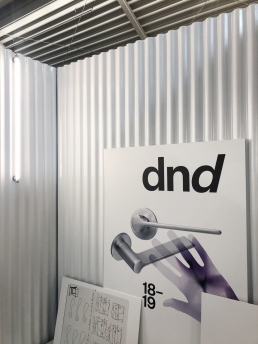 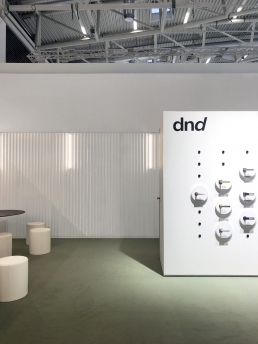 The fair fitting for the company DND stems from a concept by Giulio Iacchetti who imagined that he could move the handles freely with a series of magnetized circular devices. 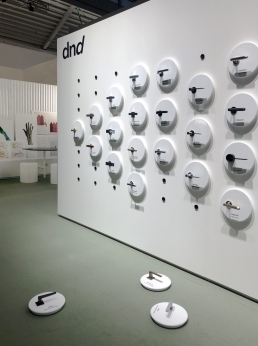 The handles, exposed on a large monolith placed at the center of the space, form a “cloud” that composes and organizes the exhibition panel according to requirements. 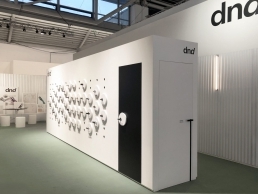 The monolith space is wrapped in a white metal sheet that, like a domestic curtain, encloses the visitors’ space in a clear and light atmosphere.